The details of these are awe-inspiring. This diamond-covered ring is so whimsical. The brand of this ring is inspired by a willow branch, and carries a beautiful texture to it. A simple ring for the minimalist bride. You can’t deny how chic and unique this textured ring is. A celestial ring will always be breathtaking. A gray diamond like this feels so earthy. We can’t get over the small flowers and tiny diamonds in this setting. When you don’t want a traditional diamond, opt for a bright sapphire such as this one. A cluster of stones will remind you of natural rock formations. The way these stones create the image of a flower is so intriguing. The marquis diamond on this looks like a delicate leaf. You won’t be able to take your eyes off of the vintage-inspired foliage details. Fall in love with the night every time you look down at this moonstone ring. 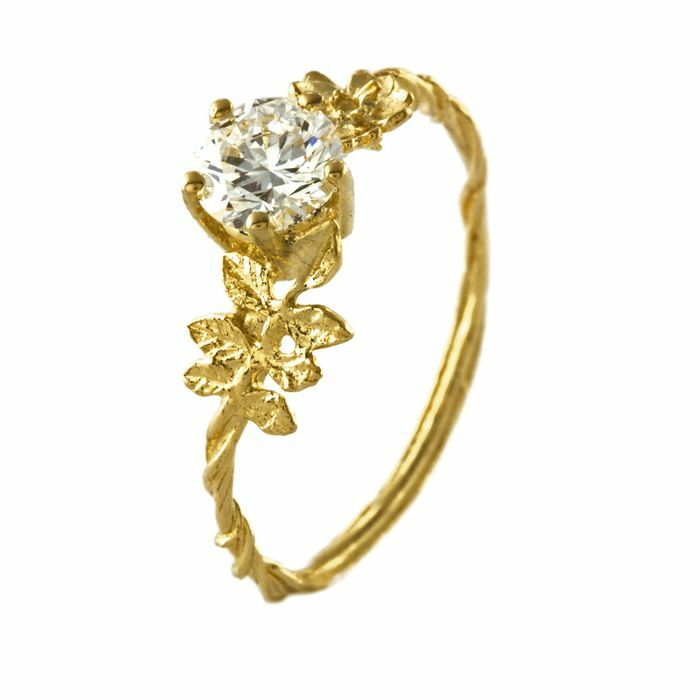 You’ll feel as though you’re wearing a diamond flower on your finger with this style. 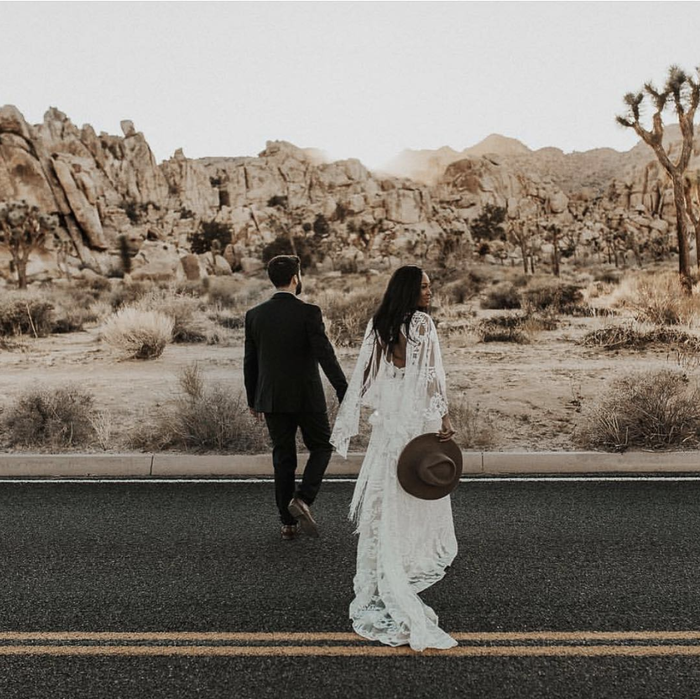 If you’re staying on the nontraditional route, consider this wedding dress trend.